Operating a business in New Zealand can be difficult, and one thing that can make it even more difficult is work-related injury or illness, or death, which can result in unexpected costs, downtime or the loss of a valued Worker. The Health and Safety at Work Act 2015 (HSWA) states, that as a Person Conducting a Business or Undertaking (PCBU), you have a 'duty' to look after the Health and Safety of all persons at your Workplace including all workers, contractors, sub-contractors, labour hire, apprentices, trainees, volunteers, visitors and customers. 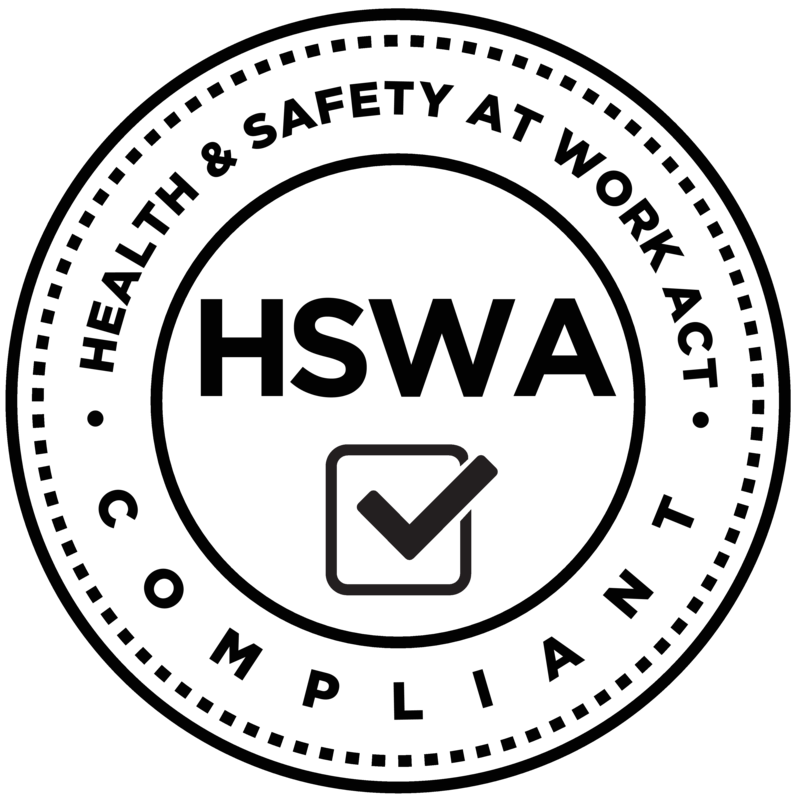 The HSWA also states, that you have a 'duty' to engage with your Workers, their Health and Safety representatives, and their Unions, in the management of their Health and Safety on an on-going basis. Research in New Zealand does show that when all Workers are directly involved in managing their own Health and Safety in the Workplace, injury and illness rates and costs do reduce. Complete and full compliance with all parts the HSWA is critical to the long term success of your PCBU (business). Please take note: the Health and Safety at Work Act 2015 (HSWA) came into effect on Monday 4th April 2016. To create, deliver, and support, an easy-to-understand, user-friendly, fully compliant Occupational Health and Safety (OHS) Management System, at an affordable price, so that everyone wins ! Doing it this way, creates a 'true' win/win situation for our valued clients, one that results in them coming back again, and again. We have done all the 'hard work' for you, with our OHS Management System. - User-friendly - easy to understand, step-by-step instructions. - Fully compliant with all HSWA requirements. - Made affordable - saves you money and time. - Do-it-yourself - helps you to take charge/ownership. - Free email and phone support - help when you need it. - Paper-based, and Online - use it how and where you want. - Monthly updates - keeps your system compliant. - Free 'Getting Started' training - gets you up to speed, quickly. - And “it actually works”.